Rui Da Silva saw his music leap from club to radio when his song Touch Me became an international number one single. Producer, Engineer, Beatmaker, Remixer, Writer DJ and Programmer. Very few people manage to combine genuine underground respect with commercial success, but Portuguese Rui Da Silva has managed just that. Rui is continuously trying to push boundaries and moving forward, as he puts it, “trying to change the sound and evolve as staying still gets me bored”. Over the years he’s also notched up a broad array of collaborations including Underground Sound of Lisbon with DJ Vibe and Coco Da Silva with Chris Coco. Other notable notches on his belt include label owner – Kismet Records – DJ and general computer whizz. He’s also a man who’s never satisfied, constantly looking to learn and re-learn music-making science and skills. He has produced and written with Queen Of Hearts, Ruby Goe, Aggro Santos, Ayah Marah, Penny Foster, Animals, along with developing artist projects such as Dr Kirsch, Dena Latoya, Syron and Bloom Twins. Previous work includes additional production and remixing for Yoko Ono, Jennifer Lopez, Justin Timberlake, Ananda Project, Danny Tenaglia, Lighthouse Family, Ben Onono, Keli Ali, Alexander Burke , David Morales, Thousand Foot Krutch and many others. 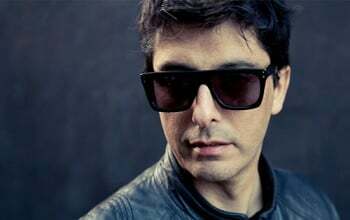 His work has been released on many labels like Virgin, Polydor, Nitegrooves, RCA, Tribal America, Crosstown Rebels, Fabric, Nettwerk, NRK, Ministry Of Sound, BMG, Sony, DMC, Twisted, EMI, Leftroom, Sogni, Dreamworks, Warner, Kult, Destined and Ultra.